Flavored butter is a wonderful way to add a little something extra to snacks, hors d'oeuvres, pasta and a variety of other dishes. By incorporating herbs and other seasonings into plain butter, you add extra flavor and taste to your favorite foods and make mealtime a more gourmet experience. Sweet cinnamon sugar butter is divine on slices of freshly baked bread. Whip up a batch to impress guests and make your home smell great. Add all ingredients to your Oster® Heritage Blend™ 1000 Whirlwind™ Blender. Blend until ingredients are combined and butter is smooth. Refrigerate until ready to serve. Add a little kick to your butter with jalapeños and a dash of cayenne pepper. This butter tastes great on cheddar biscuits, cornbread or warm tortillas. 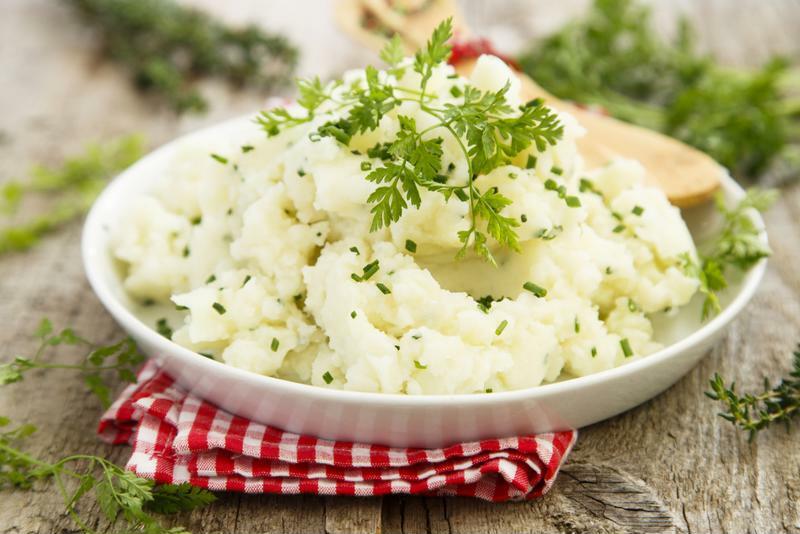 Flavored butter makes mashed potatoes even more delicious. Full of fragrant herbs, this savory butter is a delight on a variety of breads or atop potatoes and steamed vegetables. Make waffles or pancakes extra delightful with this tasty butter. Add all ingredients to your Oster® Heritage Blend™ 1000 Whirlwind™ Blender​. Blend until ingredients are combined and butter is smooth. Refrigerate until ready to serve. Paninis, meats, rolls and baked potatoes all get a flavor boost with a supremely savory Cheddar-Bacon Butter. Looking to make your scones extra special? Top them with this homestyle butter. A variety of fresh vegetables add flavor and texture to basic butter and is a delicious spread on bagels.